FREE SHIPPING on Every Glass Order! 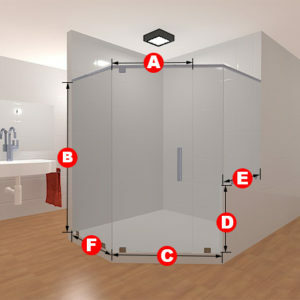 Four glass panels make up this gorgeous shower door set! 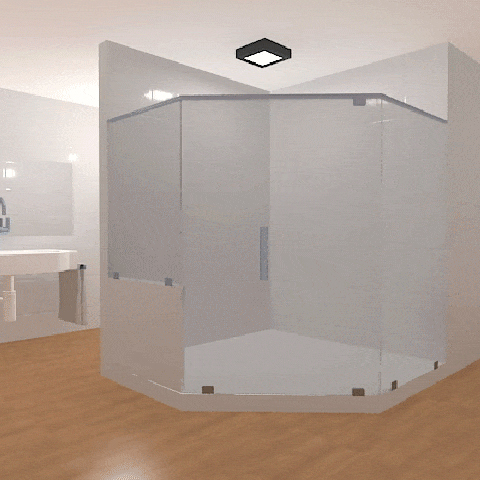 Made for shower entrances with partial walls, this frameless glass shower door set will ensure that you have function, form, and style! 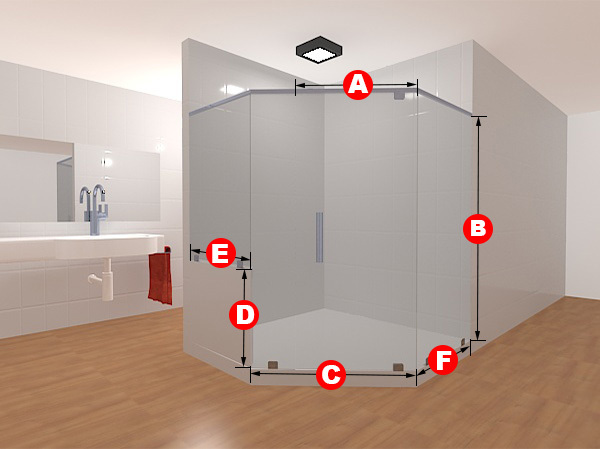 The glass can be made to be either clear or frosted, depending on your preference, and the dimensions can be whatever you specify you need them to be. 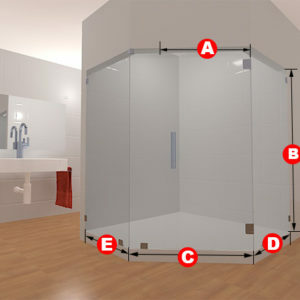 Included in this package are four glass panels, two glass to glass hinges, two glass to floor clamps, and two glass to wall clamps and a handle. For measurements, please ensure that you take any tile work into account when submitting measurements. The measurements can be to the 1/8″ of an inch (0.125″). Please enter your dimensions for an instant price, and select your hardware, handle and other options.